Sultanabad Rugs are renowned by their monumental scale and palatial grandeur. That scale and grandeur also apply both to their actual size and their finely detailed of decorative elements. Said elements are contrastingly small in size compared with the whole rug’s dimensions. It is an Oriental art form peppered with western design additions. These rugs came from the area of Sultanabad, now known as Arak. It is located in central Iran or Northern Persia of the older times. Though the major intervention of western influence came to it in 1883, historical documents imply that Sultanabad already played a vital role in the production of rugs as early as the 17th century. The momentum given by the boom in construction efforts occurring between the late 1700s and mid-1800s laid the foundation for this commercial venture. The region began improving upon their previous settlements. The capability to raise many sheep ultimately led to wool rug production. 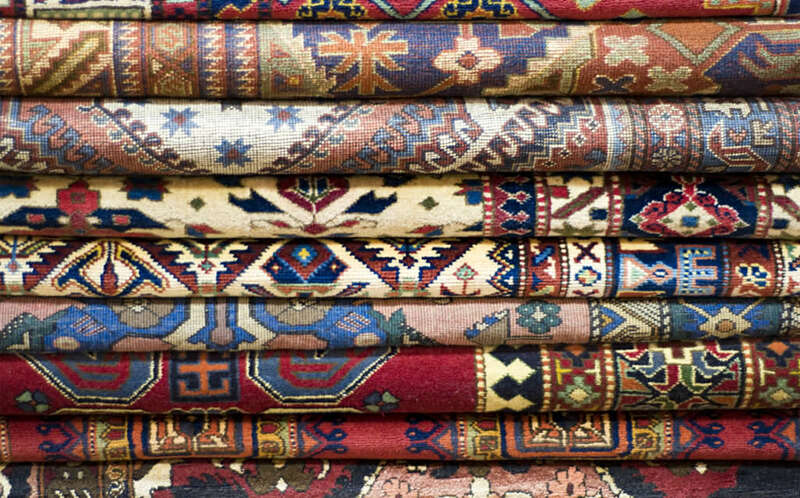 Though, Sultanabad rugs are just one of many famous carpet types originating from Arak; these western-influenced rugs diverged in quality from the Sarouk and Farahan carpets produced nearby. Said divergence occurred when it gained publicity in Europe. Sultanabad quickly gained a conspicuous status for its rug production, among other arts and crafts the area possesses. The region’s established name for high-quality rug production led the Swiss export firm Ziegler and Company to set up shops there in the 1870s. This decision was supported by the very profitable and growing European demand for said rugs. The company gave the locals a systematic weaving industry by installing oversized looms, adding more available dye colours and modifications of the original traditional designs. This blending of historical rug features and western alterations might have encountered dissent, but economic reasons made the Ziegler rug venture a success. Sultanabad became an export processing zone whose demand reached a worldwide scope. It paved the way for Sultanabad to become a household name for grandiose homes internationally. Ziegler’s move gave them more control over the product and its overseas profits. The firm’s start-up sponsorship, hands-on product development and exclusive marketing strategies caught the eyes of leading merchants at that time. This led to collaborations with designers from the influential Liberty of London department store and B. Altman and Company of New York. These designers mingled 1500-1600s Safavid patterns with western flavours. Hindsight tells us their recipe centred on fitting these elegant designs with new colour palettes. Their redrawing of the original designs enriched the sought after rugs with more curves. This made the word Ziegler become synonymous with Sultanabad in rug branding, denoting the best kind of antique Mahal rugs produced in Arak. Some may claim these western suggestions tampered with the original, spontaneous course such rugs follow in its creation. Its differentiation, however, wasn’t hindered due to the ready and exclusive European market waiting for it. So even though its over-all make-up remained more or less of the same motif as the other Persian carpets, it possesses a different ring in customer-collector’s minds. Its stature is beaming before it with bold floral designs, central medallion patterns, spacious background spread, vine scroll continuity, ornate palmette lattice and proportionally wide borders. Is it the unique heavy weaving technique used by the weavers? The especial dyes from Europe added for richer colours? Is it the allure of the unseen land where they came from? Is it the merchants themselves unconsciously promoting their wares, so owners of the Sultanabad rugs bring out envy? Or is it the first owners themselves that imparted their opulent lifestyle on the rug for fellow Europeans’ eyes? Perhaps all of these are true. History shows Sultanabad rugs became rugs of the highest decorative value. Even today, interior designers, discriminating collectors and auctioneers tend to be amazed by the high prices these rugs command, all the more if the piece is an antique. 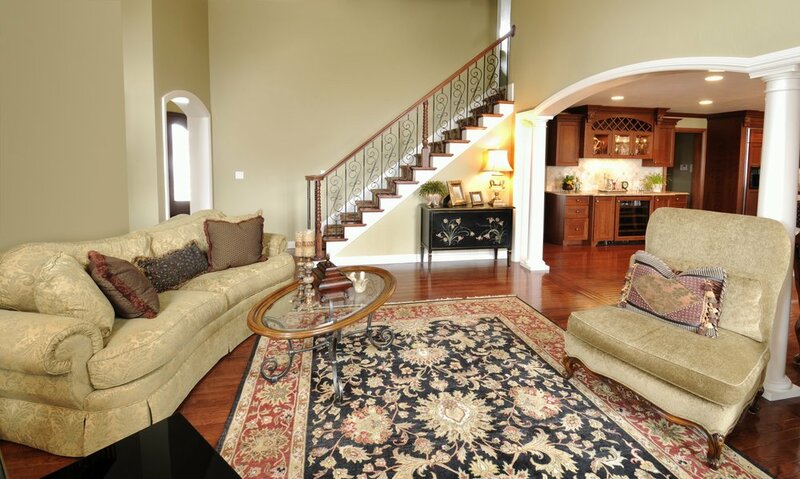 Are Persian rugs a good investment ?